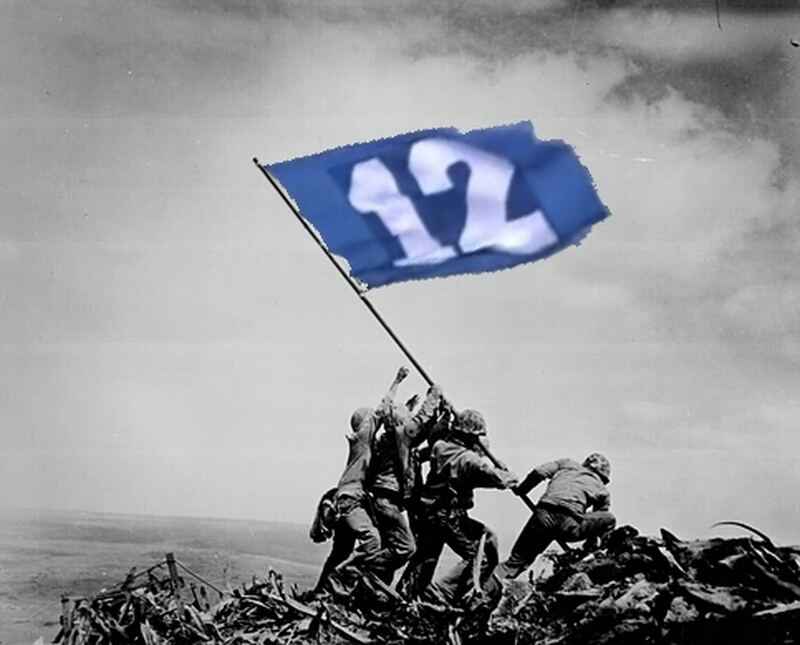 I’m a Seahawks fan. I have been since I was 9 years old and I would try to emulate Steve Largent on the playground. My mom probably didn’t like me coming home with my pants all muddied up from catching long passes and diving into the mud on the playground. 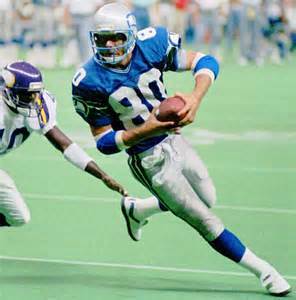 When I played football in Jr High and High School, I picked the same jersey number as Steve Largent (80). I had dreams of being a great wide receiver and I was pretty decent until I didn’t have a growth spurt and all the guys in high school out grew me. I guess I could have kept trying, but I chose to hang up my dreams and jersey mid way through high school. Now my football dreams come alive through playing annually in turkey bowls and through the Seattle Seahawks the past few years. Last night, I was in charge of a dinner at our church. We told everyone to dress casually and it was kind of funny how many people wore their Seahawks t-shirts and jerseys (myself included). The event was a fellowship dinner with a testimony meeting afterwards, but to an outsider looking in, it looked like a Seahawks rally! 9. A siting of President Monson is like a Russell Wilson siting in Seattle as the phone cameras fly out and crowds rush to see them. 8. The local news reports what a Seahawks player had for lunch while a Utah station reports where a General Authority was shopping. 7. Seahawks games bring a huge crowd that converges into downtown Seattle whereas a General Conference does the same in Salt Lake City, Utah. Non-Mormons and non-Seahawks fans rush to get their shopping done before the crowd comes back out. 5. Streets in Seattle are named after Seahawks players. Streets and cities in Utah are named after Mormon pioneers. 4. All TV stations show Seahawks games locally during football season. General conference is on all channels in Utah during that season. 3. The crowd noise in Seattle shakes the city and causes tremors. So does the Mormon Tabernacle Choir when they sing. 1. People skip church to watch Seahawks games. In Utah when there is a General Conference, people use that as a “vacation” from church as well.